CenturyLink internet deals offer you fast speeds, secure connections and the opportunity to lock in your price for up to three years. Call Connect Your Home today to take advantage of these unbeatable deals on CenturyLink internet service! Don't like rising internet bills? Lock in your CenturyLink internet price now! CenturyLink internet deals are backed by a pricing guarantee lasting 1 to 3 years. 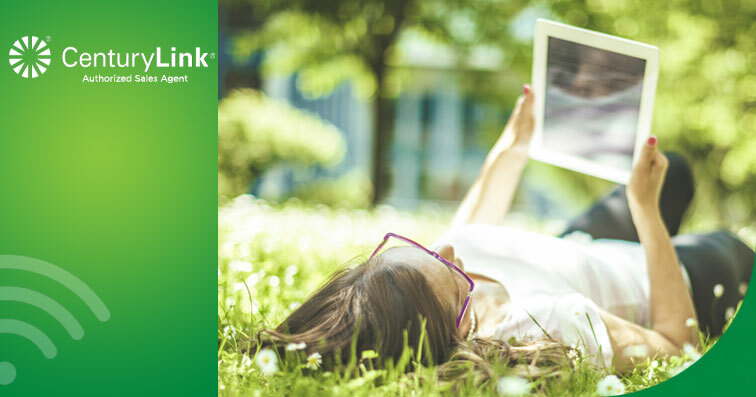 Enjoy paying the same price for your CenturyLink internet without worrying about rising bills. Call us today and ask how you can qualify for our 3-Year Pricing Guarantee from CenturyLink! Every internet package from CenturyLink comes with 24/7 technical support, Norton, and fast in-home WiFi. This package offers you 24/7 computer support, anti-virus services, identity theft protection, and automatic cloud backup. Ask how you can get up to 50% off for the first two months. What can you do with 1 Gbps internet speeds? Anything you want! CenturyLink is supercharging your internet usage with speeds up to an incredible 1 Gig (1,000 Mbps)! Power an entire household full of devices, download HD movies in seconds, and accomplish whatever else you need to do. The possibilities are unlimited with the speeds you’ll get with CenturyLink internet deals! Limited time offer. May not be available in your area. Taxes, fees, surcharges and restrictions apply. Activation and professional installation fees apply. CenturyLink provided modem required; lease ($9.99/mo. fee) or a one-time purchase ($99.99) option available. Free Activation and S&H: Limited time offer. CenturyLink will waive the standard activation fee on eligible Internet service plans and modem shipping and handling charge (standard delivery) on service orders received on or before offer end date. One offer per household. Offer subject to change or cancel without notice; may not be combinable with other discounts or promotions. Additional restrictions may apply. Limited time offer. May not be available in your area.